The AVIALSA T-35 Management, aware of its commitment to its clients, establishes the general objective of implementing and maintaining an Integrated Quality Management System, based on continuous improvement, customer satisfaction and employee participation. The aim is to consolidate the external recognition of AVIALSA T-35 as a leading company, not only from the point of view of the quality of the service provided, but also considering the continuous improvement in the working methods and in the client attention. Complying with legal, regulatory, industry, environmental and safety requirements in all centers and activities. It also assumes the commitment to annul or minimize technically and / or economically feasible risks and environmental aspects that can influence the processes, the occupational safety and health of the people and the environment once they have been identified. 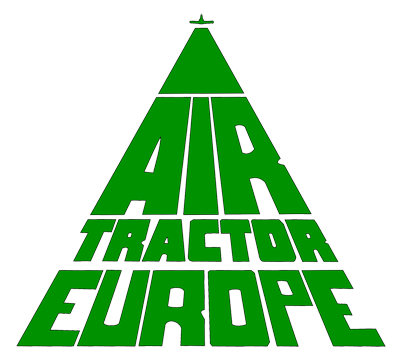 The development of AVIALSA T-35’s activities in the fight against fire, vital to safeguard the wild nature of our fields and forests, means that our company must actively engage in a commitment to comply with applicable environmental legislation and regulations and further establishing commitments within the company itself. Improving the safety of all A VIALSA T-35 workers by improving safety systems and safety culture. The integration of Prevention of Occupational Hazards is the responsibility of each and every one of the workers, so that the management, middle managers and operators will follow the procedures and guidelines established and mainly, provide all possible improvements so that their jobs become more and more secure. Reviewing and analyzing the opportunities for improvement proposed by stakeholders and reporting on the decisions taken, seeking excellence in management, safety culture, economic efficiency and respect for the environment. Being a company that the society trusts in and being highly valued by the administration regarding its contribution to the fire extinguishing. Focusing on the client, we seek to meet the requirements, needs and expectations of our clients, public administration and society in general and to achieve the highest satisfaction of clients and agents involved. Working with the Continuous Improvement approach throughout all processes of the organization, through planning, measurement of results and implementation of improvements and innovations in each process of our activity and in the globality of our organization. Promoting the high qualification and training of all the personnel that integrates AVIALSA T-35 to establish safety, efficiency and efficiency of management and environment as fundamental pillars. Organizing the management with a process-based approach. Using this Quality Policy as a frame of reference for establishing and reviewing quality objectives, occupational health and safety objectives and environmental goals and targets. The Quality Policy is communicated to all the staff of the organization and made available to all interested parties. 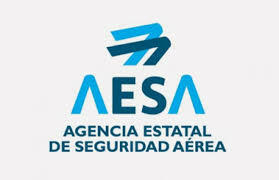 Therefore, this Policy involves all AVIALSA T-35 personnel who must know and accept it, considering it as its own, each AVIALSA T-35 member is responsible for applying it and verifying the quality standards applicable to its activity, as well as identifying and providing opportunities that are considered appropriate for the improvement of the Management System. This Policy will be reviewed by the management, as many times as necessary, to keep it up to date. In addition to this quality policy, AVIALSA T-35 has defined other specific policies to ensure the establishment of well-defined frameworks for highly relevant aspects such as safety in aircraft operation and maintenance. C. Louis Pasteur, 1 - Nave 1. Parque Tecnológico Paterna. © 2015, Avialsa T-35 S.L. Este sitio web utiliza cookies para que usted tenga la mejor experiencia de usuario. Si continúa navegando está dando su consentimiento para la aceptación de las mencionadas cookies y la aceptación de nuestra política de cookies, clic en el enlace para más información.